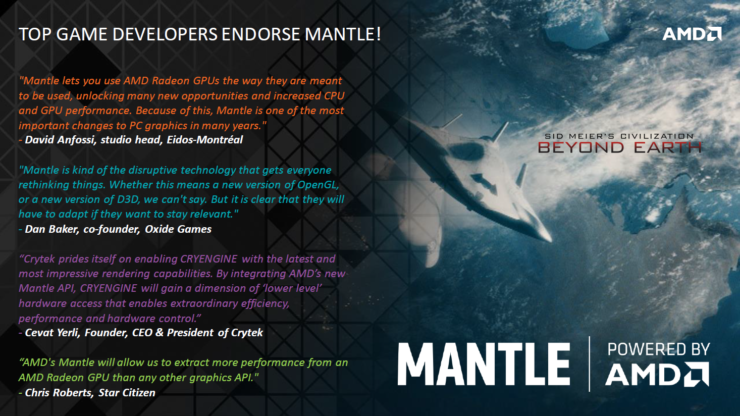 This part of AMD’s event dealt with Mantle API and I think most of the slides here are completely recycled. In any case, I will go over this aspect too just to cover all bases. This part of the Future of Compute event dealt with AMD’s homegrown Mantle API and was more of a promotional feature than anything else. Once again we got the slides via DG Lee over at IYD.KR. I am not going to into much detail on this piece because like I said, most of this is just rehashing of already known information. As I am sure all of you know by now, Mantle API is AMD’s pioneering low level API that has more or less kick started a trend for APIs to be able to handle more draw calls. Nealy all standards and consortium have followed suite and Apple has even come up with its own Low Level API. Needless to say it was a very very good thing. 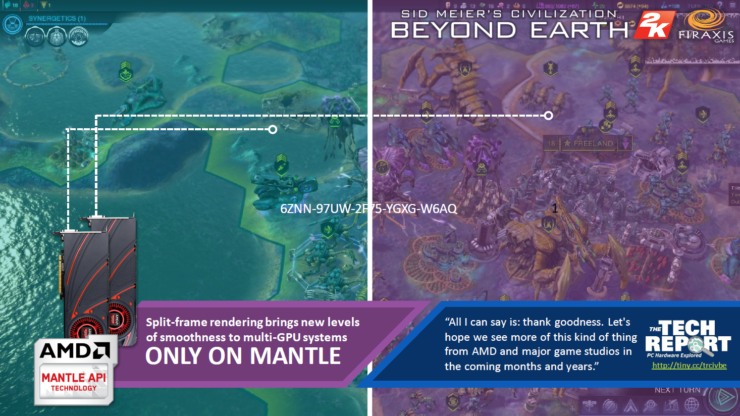 However, the problem AMD is dealing with now is convincing the Industry that Mantle hasn’t suddenly become irrelevant (after the revelation of DX12), resulting in the constant rehashes and feature spotlights. 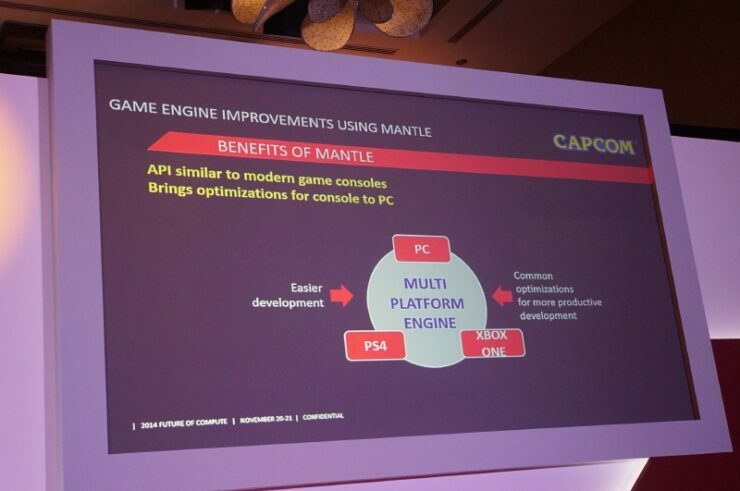 One of the more interesting things that the slides do mention is Capcom comments on Mantle. 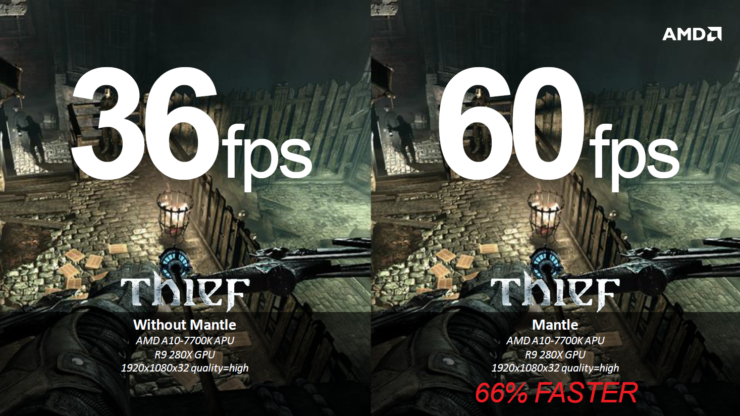 The publisher states that Mantle is very ‘console-like’ and for once comparing a PC technology is actually a good thing since most consoles have an almost perfect to-the-metal access which allows them greater freedom and utilization of the present hardware. Infact, they gone so far as to state that Mantle makes developing games simaltenously for PC, Xbox and PS4 very easy and will allow ‘optimizations for consoles to carry over to PC’. This one line is what made this article worth publishing, because this right here folks, is the golden ticket. PC Gamers have claimed for ages of bad console ports but if all the console goodness can simply be ported over than everyone goes home happy. 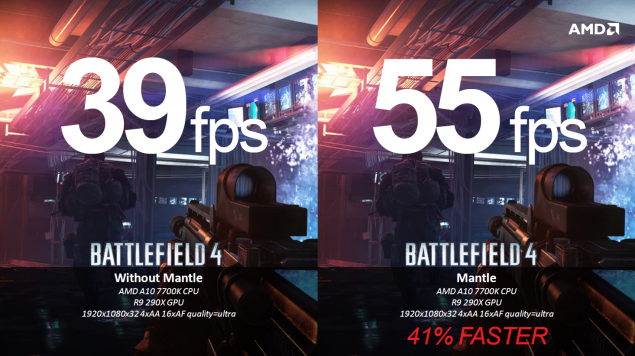 This is honestly a pretty big incentive for developers to use Mantle right now to increase the value of their game development process and simply let Mantle do all of the grunt work when porting to PC.